Ever had a million dollar idea? Greg Allgood has. In fact, he’s had a $2 million idea. It started in 2000 when the Procter & Gamble employee was invited to work on a new project: a tiny packet that purified water. Allgood took one home, grabbed a bucket of dirty creek water, poured a packet in, and stirred. 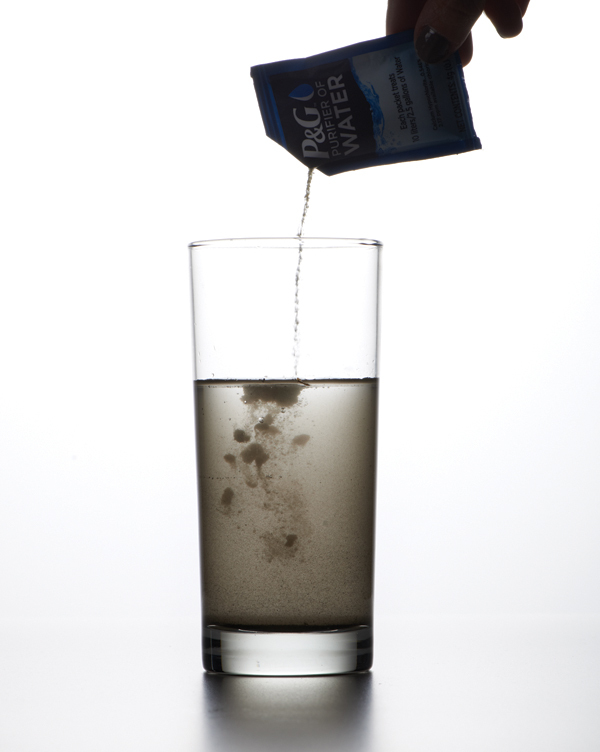 Technically speaking, the packet’s iron sulfate separates the sediment from the water. Non-technically speaking, the dirt falls to the bottom, the germs get killed, and everything else becomes crystal clear. “It’s a miracle,” Allgood says. Now, as director of the nonprofit P&G Children’s Safe Drinking Water Program, Allgood champions P&G Purifier of Water packets. Around the world, they help prevent deaths caused by bad water, which kills more people each day than HIV/AIDS and malaria combined. And they’ve had an unfathomable impact: 5 billion liters of clean water served, more than 26,000 lives saved. And then there’s Allgood’s $2 million idea: Two pennies could change the world. It costs 10 cents to make a packet that can purify 10 liters of water. If everyone needs two liters per day, 2 cents can save a life. In 2007, American Express launched a national contest in which cardholders could vote for their favorite cause. Allgood gave it a whirl by himself, with his P&G hat off. He won. The U.S. Fund for UNICEF took home $2 million for water efforts. Allgood didn’t invent the packets that became his life’s work. But sometimes brilliant ideas fall right into your lap. It’s what you do with them that counts.